A half day study tour* piecing together the place of alcohol in the sickness and health care of the capital through history. This study tour invites you to take a literal and metaphorical stroll down ‘Gin Lane’, epicentre of the Georgian spirit sensation, and uncover the intriguing story of London, alcohol and (ill) health. 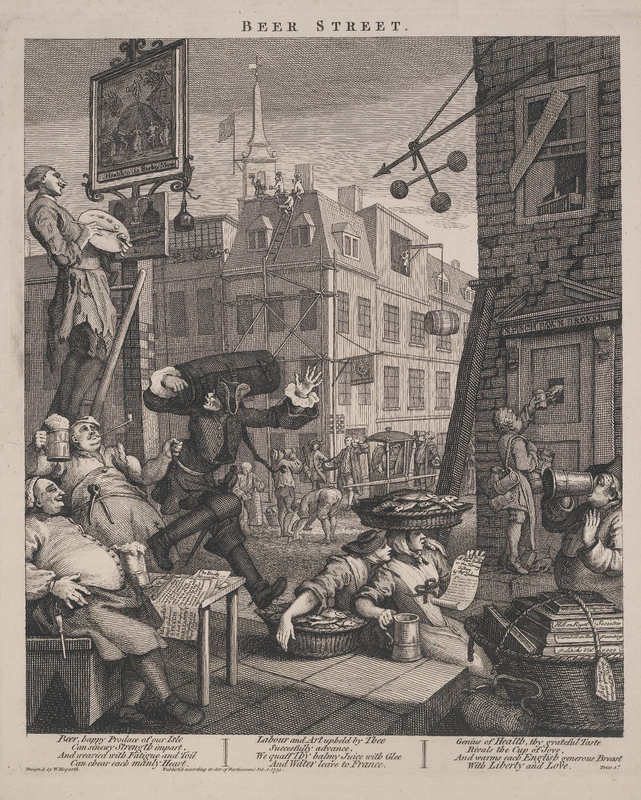 Among scenes redolent of William Hogarth’s famous prints, discover grooms’ pubs, gin palaces, temperance halls, houses for fallen women and apparently harmless coffee bars. Encounter the scale of humankind’s alcoholic excess and its devastating effects across the centuries, along with the attempts of the abstemious few to restrain their fellow man and woman. Filter fact from fiction, to determine the true extent of the Gin Crazes of the eighteenth century and see their place in a broader history of health concerns and moral panics that continue right up to this day. The tour begins in Lincoln’s Inn Fields at the site of the Hunterian Museum includes a visit to the British Museum and concludes at the Royal College of Physicians with a tour of the more intoxicating items from the College’s collection and (non-alcoholic) refreshments. “The Intoxicating Walk Down Gin Lane” is a unique experience, cutting a swathe through fashionable London from Bloomsbury to Fitzrovia and then The Regent’s Park, including a flying visit to the British Museum and a short break in insalubrious Soho. All to tell the story of a city and its sometimes tragic love affair with ‘the demon drink’. * We also offer: “In Search of Gin Lane” and “The Path to Beer Street” shorter tours of 2 hours in length examining the heritage of Hogarth’s infamous engraving and the response of society to the issues of alcohol and excess.